The beauty and function of our bodies has always been intriguing to me. Patricia’s first experience with the therapeutic power of massage was as a young girl. After an unfortunate auto accident, her mother had her massage her neck, which had been injured. As Patricia kneaded the muscles in her mother’s neck, she began to notice the lumps and knots that she manipulated seemed to ‘melt’ away. Later, a school class assignment led her to learn and describe the basic muscles of the human form. 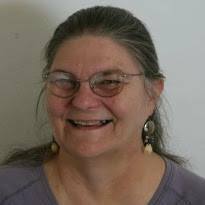 In the 70’s the Free University concept was flowing in the San Francisco Bay Area, and Patricia took several classes that were teaching massage. Massage schools were few and far between during that time. She was very fortunate to connect with Judith McKinnon, who was honing her teaching skills as she prepared to open the McKinnon School of Massage. Judith taught her basic Swedish Massage, and the elements of Energetic Massage. Soon after Patricia began to offer massage services. She has been learning through continuing education and seminar certification programs ever since. Patricia now offers a broader menu of techniques designed to relax, renew, and relieve pain. Over the 40 plus years Patricia has been providing massage she has continued to study and incorporated into her work a wide variety of massage styles and techniques depending on the needs of the individual.